Philadelphia Flyers center Brayden Schenn is congratulated after scoring a third-period goal against the Colorado Avalanche. The Flyers are currently the hottest team in the NHL. They've now won 10 straight games for the first time in 31 years thanks to a 4-3 win over the Avalanche on Wednesday night. Unfortunately for Dave Hakstol's team, they haven't been able to make up much ground in their division because three other Metropolitan teams are currently riding win streaks of their own. 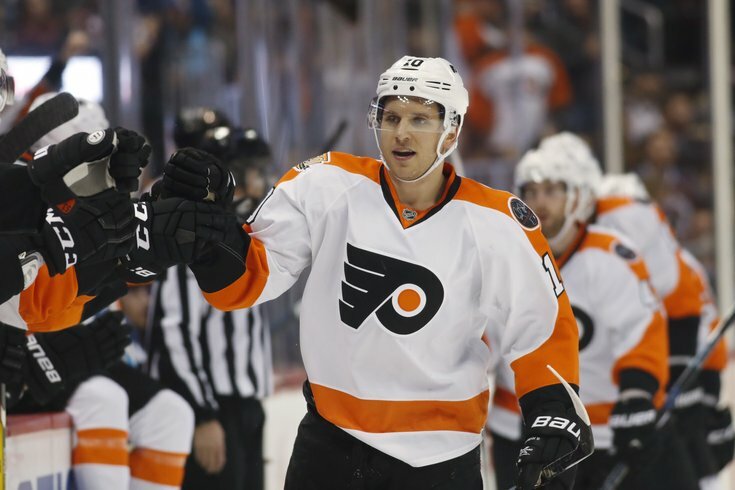 The Flyers have also played 32 games, more than any other Eastern Conference team. Only two teams (the Rangers and Bruins) have played more than 30 this season, and more than half (8) have played 29 or fewer. At 19-10-3, the Flyers are currently in third place but sit just one point ahead of the first wild-card team, the Blue Jackets, who have five (yes, five) games in hand on Philly. Where the Flyers have been able to gain ground, however, is by putting further distance between themselves and the first team currently out of the playoff picture –the Tampa Bay Lightning, who are now nine points behind the Orange and Black. The standings, however, aren't the most important thing in mid-December. And it's not like the Flyers can do much more than they already are, especially over the last three weeks. The Philadelphia Flyers extended their winning streak to 10 games with a 4-3 victory over the struggling Colorado Avalanche on Wednesday. It's the franchise's longest run since a 13-game streak during the 1985-86 season. Philadelphia has propelled itself into the playoff picture in the Metropolitan Division -- they are tied with the New York Rangers for second, but the Rangers have a game in hand -- with 41 points. It wasn't easy for the Flyers to get to No. 10. There was one minute and 24 seconds left, with the faceoff in front of goalie Steve Mason, where a gassed Flyers team desperately clung to a 4-3 lead. ... The puck would remain in Colorado’s end until the final whistle, while the Avs would attempt five shots — two of which actually reached Mason — while the rest were either wide or blocked. Thing is, it was pure chaos because defenseman Andrew MacDonald broke his stick shortly after the faceoff. Bellemare gave MacDonald his stick and grabbed a right-handed stick from Wayne Simmonds. “It was a rodeo after that point,” Simmonds said. 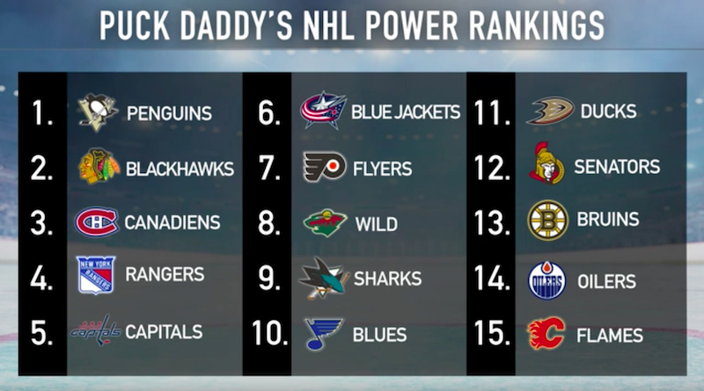 This current win streak has had quite an impact on their standings in various outlets' NHL Power Rankings. While the Flyers have gotten quite a bit of production from their top forwards, Steve Mason has flat out stolen a few of these games as he rides a hot streak of his own. Steve Mason is the first #Flyers goaltender to win eight consecutive starts since Ron Hextall win 9 in a row in 1996-97, per Elias. The Flyers have a long road trip coming up at the end of the month, so time is running out for you to go down to the Wells Fargo Center and watch them try to extend their streak in person. "We want to keep it alive. We know in Philly they're enjoying it as much as we are right now," Giroux said prior to Wednesday night’s win. "It's not going to be easy to keep the streak alive. Every game is a big game, but right now we're doing a good job of staying focused on how we need to play." Here's a look back at some other Flyers’ win streaks over the last 31 years, via Dan Levy of billypenn.com. The ’85-86 Flyers [who won 13 straight] leveled off a bit after that 15-2 start, but closed the season strong, winning 11 of their last 13 games — win streaks of six and five with two losses in between — for a record of 53-23-4, 110 points and a first place finish in the Patrick Division before falling in the first round of the playoffs to the hated Rangers. The Flyers are cleaning up this year when they have a man advantage.